NOTE: PocketDerm has rebranded itself as Curology and eliminated the distinction between “Anti-Aging” and “Acne” goals. All ingredients are now fair game for inclusion in your Curology prescription–regardless of whether they’re anti-aging or acne. When I signed up for PocketDerm Anti-Aging last November, my main concerns were fine lines, brown sunspots, and red marks left over from long-gone blemishes. Fast forward to March: I developed a giant honker on my right cheek that didn’t go away and in the subsequent weeks, I increasingly developed more blemishes on my cheeks and jawline, minor at first but recently of the festering, tender-to-the-touch variety. The original monster eventually flattened after two long months (and is now a dark reddish purple spot). But the rest of my face had turned into a nightmarish game of Whac-A-Mole–and I was losing. The location and intensity of my breakouts makes me suspect that they’re hormonal. I tried a lot of over-the-counter treatments (benzoyl peroxide, sulfur, salicylic acid), but none produced consistent or impressive results and did nothing to prevent new spots. 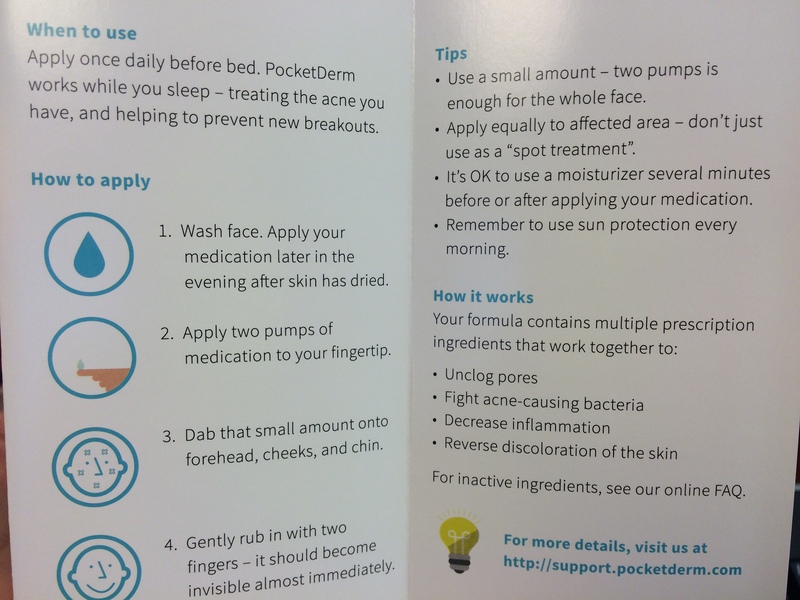 Each PocketDerm Acne formula uses 3 out of 4 possible active ingredients: tretinoin, clindamycin, azelaic acid, and niacinamide. My new prescription contains the first 3 ingredients, but I can’t say how effective it is yet because I just began using it. The clindamycin is anti-bacterial and anti-inflammatory. The azelaic acid is also anti-bacterial and anti-inflammatory, plus it treats hyperpigmentation and redness. 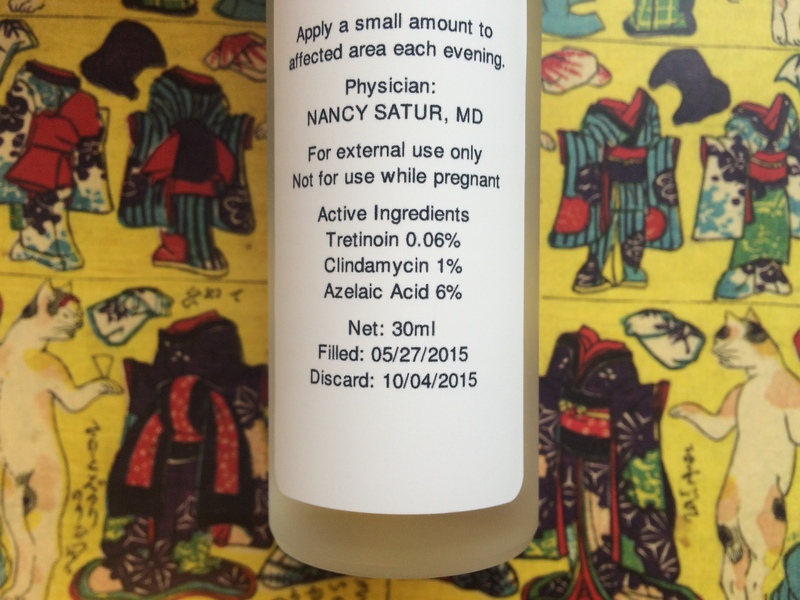 PocketDerm has fuller explanations of the active ingredients in the Acne formula here. In switching from Anti-Aging to Acne, I’m losing the niacinamide and vitamin C in my old prescription. However, a fair amount of those ingredients is sprinkled throughout my routine already, and in any case, I hadn’t noticed any improvement to sunspots and old acne marks from those ingredients, so maybe my skin just doesn’t respond to them. The switch to Acne also means a slight cost increase. Acne is $19.95/month, whereas Anti-Aging is $49.95/3 months. Well worth it if it works. Stay tuned for an update once I’ve used my new formula for a while, and wish me luck. Interested in trying Curology? If you use my referral link, you can get a free month or 30-day supply (and I will receive a $10 credit if you sign up). If you’d prefer not to use the referral link, go to the normal homepage at https://curology.com/. Thanks for this post! I’m wondering though, if I start PocketDerm, how do I work it into my AB routine? The instruction you pictured here say that you should cleanse and then wait for your skin to dry, then apply, but it doesn’t mention how that fits in with other skincare. I asked Dr. S. She said I could incorporate toners and serums after a few weeks of starting the Acne formula, adding one new product at a time, with perhaps 5 days or so between additions. Also, when I was on the Anti-Aging formula, she said not to add AHA/BHA until I’ve adjusted to the tretinoin. Generally, she said you can apply skincare in order of lightest to heaviest texture. When I was doing Anti-Aging and getting used to tretinoin, I did all my toner and essences; waited 5 mins to make sure skin was thoroughly dry; PocketDerm (which has the texture of a light lotion); waited 2 mins to make sure it soaked in; and then night cream. Hi there! 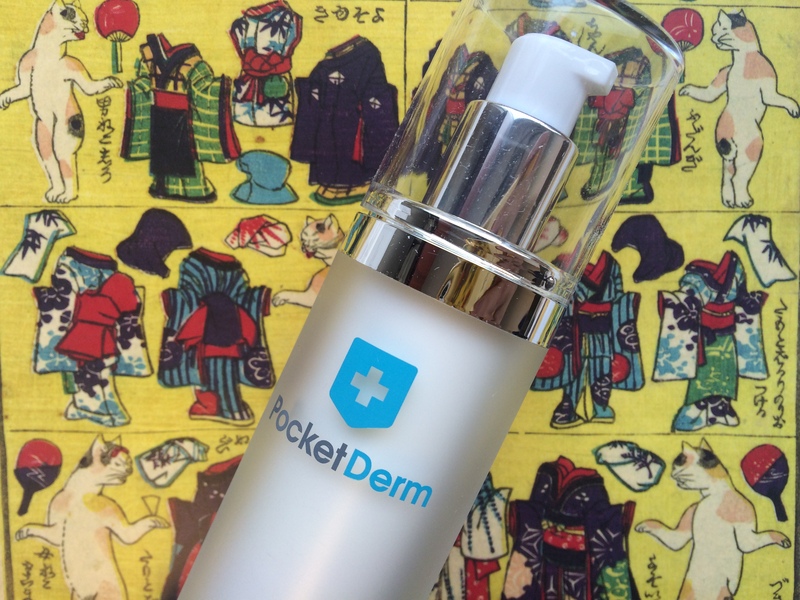 I ran across your blog while looking for reviews on the slightly newer Anti-Aging service from PocketDerm. Your posts have been very helpful!! I hope you don’t mind me using your referral code to give it a try. Of course not! It’s there for you to use 😊 I hope PocketDerm works out for you. Good luck!